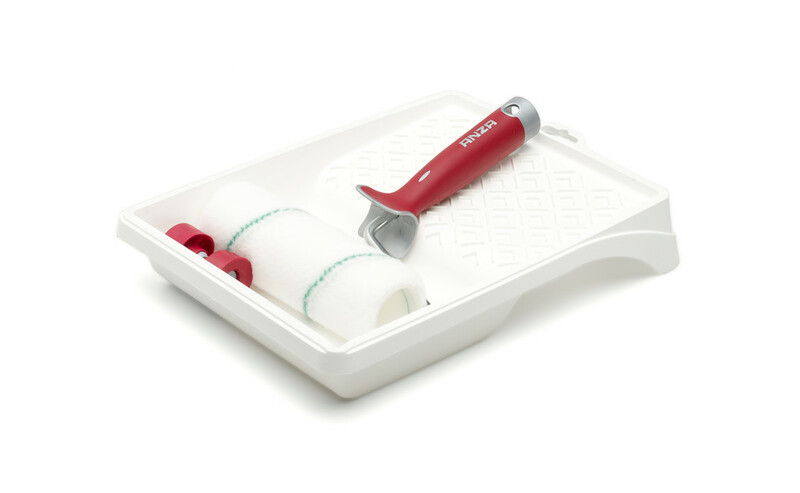 Set with tray, soft grip frame and Elite maxi roller for medium smooth surfaces. Suitable for painting interior walls and ceilings. Very high kapacity and coverage. Fits Anza extension handles. Supplied in display carton. Green rollers cover large areas quickly with their high capacity and coverage.